In a similar story the French government have removed works of Henri Matisse from gift shops all over Paris and put his grandson under house arrest. 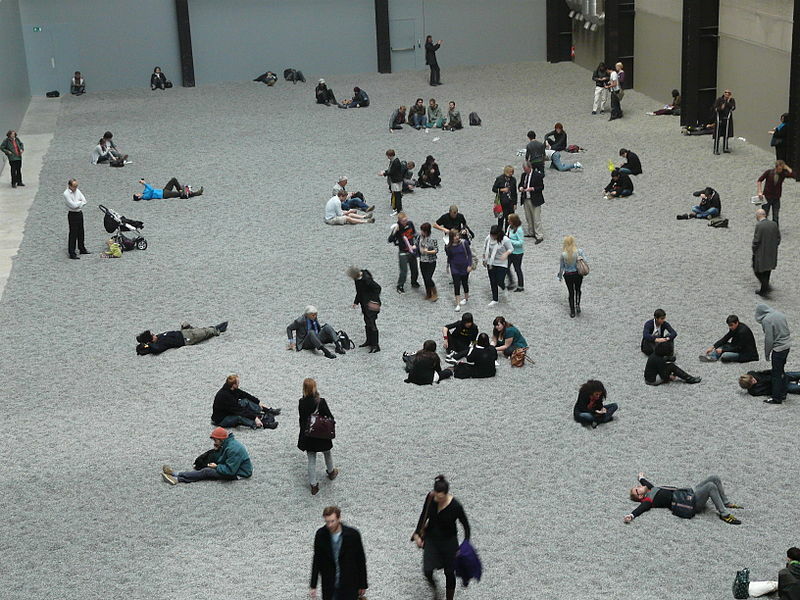 Old news, Beijing artist, dissident and ex-studio owner Ai Weiwei has loaded the Turbine Hall at the Tate Modern with 100,000,000 individually handmade porcelain replica sunflower seeds. Though billed as a sensory and immersive installation, you are sadly no longer permitted to walk accross the seeds. I suspect this is becuase people couldn’t resist the temptation to pinch one as a souvenier. I was disappointed, as I had been hoping to pinch one as a souvenier. This decision was made on October 16th last year, making this old news too. Sunflower Seeds is at the Turbine Hall untill 2 May.